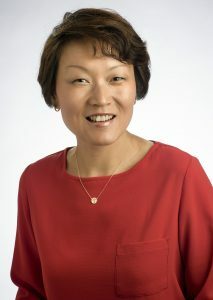 Shu Schiller, interim associate dean of the Raj Soin College of Business. Shu Schiller, interim associate dean of the Wright State University Raj Soin College of Business, will participate in the HERS Institute in June at the Colorado School of Mines. The HERS Institute is a two-week summer leadership development program for women in higher education. It is offered by HERS (Higher Education Resource Services), a leadership development and research organization dedicated to creating and sustaining a diverse network of women leaders in higher education. Schiller said the opportunity to interact with HERS attendees will deepen her knowledge of the higher education landscape. The HERS Institute empowers women to understand their potential and provides them with skills to grow professionally and personally and to lead with their strengths. It is dedicated to creating a diverse network of women leaders in higher education. Since 1972, HERS has provided training for more than 5,000 women faculty and administrators. HERS is also committed to narrowing the gender gap for women in higher education leadership. When she returns to Wright State, Schiller said she will champion the growth of other women. “I hope to bring back best practices to our campus to help build a more inclusive and equitable future,” she said. As a HERS Institute participant, Schiller plans to pursue a leadership project aimed at creating a pathway to enable campus leaders to become active users of academic data. Her project, Data-Driven Leadership, will help leaders access meaningful data and interpret and communicate data insights through easy-to-use, intuitive tools. “By infusing data into our daily conversations and decisions, we will create and cultivate a data-driven culture on campus,” she said. Wright State has a long history of participation at HERS. Previous Wright State faculty and staff members who have participated in the HERS Institute include Paula Bubulya, associate chair of biological sciences; Jennie Buckwalter, assistant dean of the College of Liberal Arts; Stephanie Goodwin, director of faculty development and leadership; Tonya Mathis, diversity program manager; and Amanda Watkins, assistant director of the Veteran and Military Center. Schiller said she looks forward to working with her colleagues who have also attended the HERS Institute to identify and develop other women leaders at Wright State.